The Best Golf Courses In Surrey - Best English County? Surrey is the home of heathland golf in the UK, featuring some of the country’s greatest inland courses. In fact, it has more Golf Monthly Top 100 courses than any other county and may well be the best English county when it comes to golf. St George’s Hill can be classed at the top or very, very near the top when it comes to Surrey’s best golf clubs. The Weybridge beauty features 27 holes designed by legendary architect Harry Colt, with the Red and Blue nines making up the premier 18. The Green is the third nine. The course has some stunning and strategic holes with elevation changes and risk-reward elements. It also has some brilliant par-3s including the 8th on the Red – an exquisite one-shotter across a valley over heather and sand which became the template for many a later design. St George’s Hill is Surrey heathland golf at its finest, and the Red and Blue loop ranks 24th in our UK&I Top 100 – the highest-ranked Surrey course. Wentworth is one of the UK’s most famous clubs and has hosted numerous professional events down the years including the Ryder Cup, World Match Play and PGA Championship. The club, famous for its castle clubhouse, truly is heavenly with three world class courses, a par 3 course, a tennis club, spa and more, with the estate lined by stunning mansions. The West Course, referred to as the Burma Road, is the most famous of the three, featuring heather, a huge variety of trees and rhododendrons. It opened for play in 1926 and was designed by Harry Colt. It has undergone huge changes in recent years, overseen by longtime resident Ernie Els in 2010 and then Ernie Els and the European Golf Design in 2016. All 18 greens have been changed and a sub-air system installed. Wentworth is also home to the East Course, which was also designed by Colt and actually opened two years earlier than the West. The third of the three championship courses is the Edinburgh, which opened in 1990 and was designed by John Jacobs, Bernard Gallacher and Gary Player. Whist it’s relatively new, it appears like it has been there forever as it carves its way through the pine trees, contrasting with the two other more heather-lined courses. Wentworth is now an exclusive golf club so visitors must know a member to get a game. Walton Heath, host of US Open qualifying and the 2018 British Masters, features two excellent heathland courses that both feature in the GM Top 100. The club has the Old and the New courses, both of which are excellent tests of golf in stunning surroundings. It’s one of the country’s most historic clubs and was home to former player and legendary course designer James Braid who was the club’s first professional. The Old measures just under 6,800 yards off the medal tees and just over 7,400 when stretched fully. It was designed by Herbert Fowler and currently ranks 29th in our UK&I Top 100. The New is just under 6,700 from the regular medal tees and 7,200 off the backs. It might be called the ‘New’ but it is in fact very old…it opened for play in as a full 18 holer in 1913. Walton Heath was also the venue for the 1981 Ryder Cup where the USA won 18.5 to 9.5. Hankley, further south towards the Hampshire borders, is one of the best inland courses in the country. As the name suggests, it is on a common and the views are tremendous throughout. There is easily room for 54 holes on the property with some holes weaving through trees and some more open on the common land. The James Braid layout is an excellent test that rewards accurate ball striking whilst the greens are tricky and fast. It measures just over 6,900 off the backs with a par of 71 for men. The par-3 7th playing up to a raised and open green is a standout whilst the testing 18th features a punchbowl short of the green that must be carried. Hankley ranks 34th in our UK&I Top 100. The heathland layout at New Zealand can be classed as another of Surrey’s supreme courses. It was laid out on the estate of Hugh F. Locke King, the man behind Brooklands race track, and features plenty of heather as it winds its way through pine trees throughout. The club was founded in 1985 and the course was designed by Samuel Fergusson, a former elite player who went on to Captain the R&A. He also designed the nine hole course at Windsor Castle. Not long in length, the par 68 course at New Zealand is a charming one that tests accuracy rather than distance. The first of the three Ws to appear on our list, Woking is another of Surrey’s top class heathland courses. Formed in 1893, it is Surrey’s oldest heathland club and was designed by Tom Dunn. It’s primarily a two-ball club and gets off to a gentle start with a 280 yard par-4 opener…although it gets tougher from there. While the course as a whole is not especially long, at just over 6,500 yards, it is blessed with greens whose contours will keep you on your toes throughout. It ranks 86th in our UK&I Top 100. Worplesdon is the second of the 3 Ws on this list and is actually the highest-ranked of the three in our Top 100 – at 64th. JF Abercrombie laid out the course in 1908 with the greens and bunkers constructed by Willie Park Jr, the former Open Champion responsible for the Old Course at Sunningdale. It contrasts well with the other Ws and is a welcoming club with some great history. It features many fine holes that make for a strong strategic test where careful shot placement is required, a stand-out is the picturesque par-3 10th over water. The third of the 3 Ws, West Hill is an utterly charming place to play golf. Designed by the club’s first professional, Cuthbert Butchart, the layout has remained largely unaltered over the last 100 years after opening in 1907. Lined by soaring Scots pines, the springy fairways demand precise hitting from the tees. Combine that with the threat of heather, clever bunkering and the brook of Brookwood on six of the holes, and the strategic challenge presented by West Hill becomes clear. It ranks 79th in our Top 100. The ultra-exclusive Queenwood may well have the best greens in the country and is always kept in pristine condition. The course was designed by world renowned David McLay Kidd who also designed Bandon Dunes in the USA and the Castle Course at St Andrews. A number of Tour Pros are members and/or practice there as well as celebrities and leaders in the business and financial sectors. The club opened in 2001 and the course has matured nicely. It features plenty of gorse, water and undulations and is a supreme test of golf. It measures 6,800 yards with a par of 72, the club also has some excellent practice facilities. The Harry Colt heathland at Camberley Heath is another of Surrey’s brilliant courses. It goes slightly under the radar due to its neighbours but Camberley resembles local favourites with its towering pines and heather. It’s a great test and measures 6,400 yards with a par of 71. Camberley opened in 1913 and is a regular feature in England’s top 100 courses. Coombe Hill, between Kingston and Wimbledon, is one of Surrey’s premier private member clubs. The delightful course opened in 1911 and was designed by JF Abercrombie, who appears again in this list with Worplesdon. Sir Winston Churchill was a member whilst he was Home Secretary and he would play with Herbert Henry Asquith, prime minister at the time. Coombe Hill was also where the late Ronnie Corbett played. The course features mature trees and rhododendrons, and is a 6,400 yard par 71. Yet another Surrey heathland test comes at The Addington, further towards the east side of the county on the edge of the London Borough of Bromley. The club previously had two courses, the Old and the New, but the New is no longer there. The Old is another of JF Abercrombie’s designs, who had it open in 1913, five years after his Worplesdon creation and two years after Coombe Hill. The Addington has great views of London on a clear day and is famous for it’s wooden bridges that cross the natural undulations in the land. It features a plethora of heather, pines and birch. Further south in the county of Surrey lies Hindhead, a beautiful, special place to play golf. Hindhead is set in amidst of the ‘Devil’s Punchbowl’ and features deep valleys and heather-lined fairways. The front nine has some spectacular holes with elevation changes including the par-5 2nd which plays downhill into a valley from the tee. The course was laid out by JH Taylor and opened for play in 1904. It now measures 6,400 yards with a par of 70. 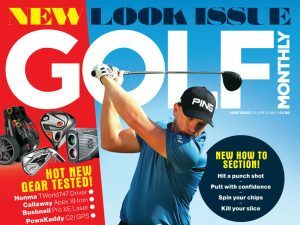 Tandridge made its way into the most recent Golf Monthly UK&I Top 100 for the first time, ranking 99th. The course opened for play in 1924, designed by the legendary Harry Colt, and features two distinct nines – a flatter opening half and more undulating back nine. It is set in glorious East Surrey countryside and has some of the best greens you’ll find. Tandridge is very bunker-heavy and they have been altered in recent years to beautiful effect by Harry Colt expert Frank Pont, who has done similar work at Broadstone in Dorset. The course measures 6,500 yards and is a par 71. Burhill is just around the corner from St George’s Hill in Weybridge and its Old Course is without doubt one of Surrey’s best. The club has two courses now, with the Old occupying the north and west side of the stunning Georgian Mansion. The Old Course opened in 1907 and was designed by Willie Park Jr, the man behind Sunningdale’s Old Course. Its gorgeous par-3 6th is a standout as is the par-4 17th which features a tough second shot playing downhill. Burhill was where Paul Casey spent much of his youth and is now home to the Open Regional Qualifying each year on the longer New Course. The club also has excellent practice facilities. Of course with Surrey being one of, if not the, best English golf county there are too many courses to mention – other notable favourites include The Wisley (read more in our 10 most exclusive golf clubs article), Wimbeldon Common, Foxhills, West Byfleet, Farnham, West Surrey, Cuddington and more.